Since, as you well know, 2008 was “the year of the baby,” Christmas this year for me seems to swirl around Sadie and her first exposure to the holidays. I wish I could tell you it’s all been sweet, filled with visions of sugarplum fairies and reindeer food. However, there have been some challenges. The first has to do with Sadie’s mouth—she is teething. That means the holidays have been filled with slobber and tears. Sadie has learned the ever-useful and uncanny ability to stick her entire fist into her mouth. Remarkable talent is already springing forth from her innermost being. The second challenge has to do with scheduling. Consistency in her sleep patterns has been the key to happiness so far. Insert the rigamaroo of the holiday hustle and bustle with multiple parties, celebrations, and events and you’ve got a recipe for a little sleepy—and sometimes not-so-sweet—sugar cookie named Sadie. I’ve been proud of her, though. She’s faced her first Christmas like a little champ. As always, my greatest moments of perspective in life right now are found in the darkness of night while rocking my little sugarplum to sleep. At five months, she is enamored with the newfound use of her hands and she often explores the contours of my face and gotee as we sit together in the glider. Eventually, her eyes begin to roll back for a few moments, then they spring back open as she fights the urge to slumber. But at this point, you know that she can’t win the battle for long. A few minutes later, I hold my sleeping beauty in utter blissful peace. Her first few moments of sleep produce a wide array of expressions on her face, accented the most by her huge smiles. It is in these moments that the tears well up in my eyes as I realize the blessings God has bestowed upon my little family. By the glow of that little nightlight, I am more aware than ever that God loves me, that he hears my prayers, and that he is intimately involved in my life in ways I will never fully grasp. 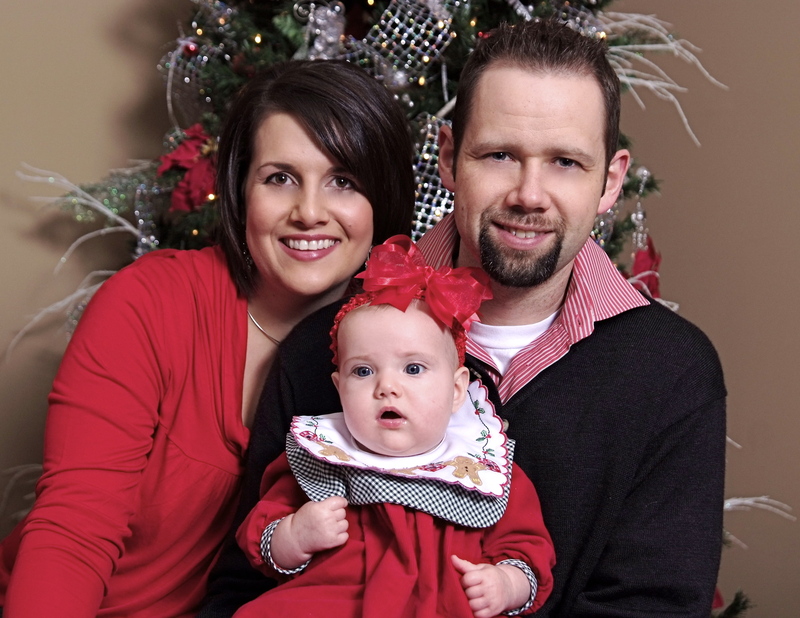 I suppose I’m not the first person to rock a baby during the Christmas season and feel drawn closer to the Creator. I can only imagine what nocturnal reflections were “pondered in the heart” of Mary, the mother of Jesus. Though not the plan we would have chosen—the sending of a innocent newborn baby instead of a powerful military King—God must have known that somewhere in the darkness of humanity, those who would allow the gentle glory of an unexpected Messiah to smile upon their weary souls would gaze upon the face and favor of the Almighty. I pray each of us will behold his smile and feel his touch as we meander through the holiday season, brushing away the droning temptation to let the pace and pressure of each event steal away the wonder of what we are remembering. The wonder of Christ is what makes it Christmas.